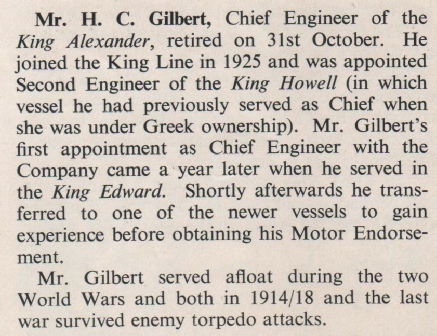 Mr. H.C. Gilbert, chief engineer, died on September 17, aged 74. He joined King Line in 1925 as a second engineer. His last ship was King Alexander and he retired on November 1, 1958.